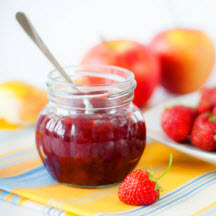 CooksRecipes has quality, kitchen-tested recipes for diabetic-friendly fruit jams, jelly and preserves that you can count on for accuracy and deliciousness. Make this jam when local strawberries are available. The difference between homemade strawberry jam and store bought is astounding. 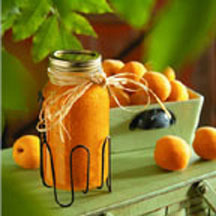 Apricots and ginger make an intensely flavored, diabetic-friendly jam with a vibrant yellow color. Serve on biscuits or bagels for a delicious breakfast treat. 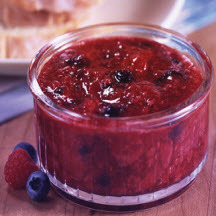 This no-sugar added berry jam recipe takes only minutes to make and will keep in your freezer up to 3 months or in the refrigerator up to 2 weeks.